Reprint. Originally published: London: Chapman, 1987. 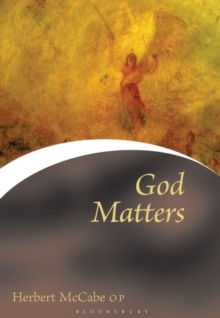 Seldom have God matters been treated with such verve, sense, rigour and humour as in the collection of writings by Herbert McCabe. This book demonstrates the depth and clarity of his theology and philosophy of God, his appetite for controversy, both political and theological, as well as a traditional catholic concern for prayer, liturgy, Mary and St Dominic.